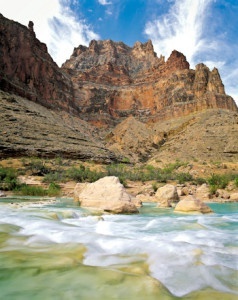 The rafting trip down the Grand Canyon was amazing. The scenery, the wildlife, the waterfalls and marvelous pools. There were the hikes to areas I will probably never see again and the amazing white water rides every single day. All of this would have made for a great vacation, but I guess we never knew how much great hosts can add to the equation. We cannot express with words how great Joe, Scott and Alese were in looking out for our every need, sharing the great stories of the Grand Canyon, cooking meals like you would get in a Five Star Restaurant and watching over us to make sure we all finished the ride. If these young folks are a representation of your company, we can understand why you are so successful. Thank you again for a fantastic vacation and some great memories.